White dresses during the summer months have always been my favourite. 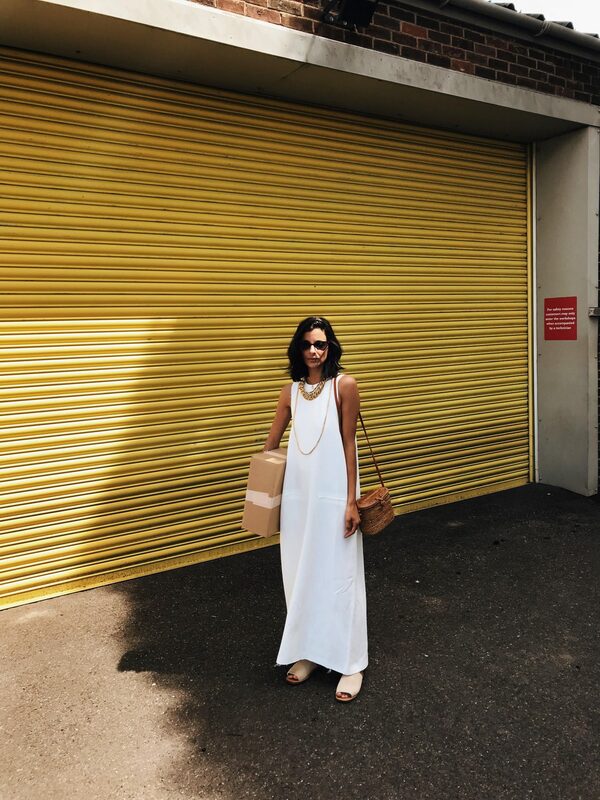 Even though I am gravitating towards a-lot of colour and print this season, the iconic white summer dress is still a must. 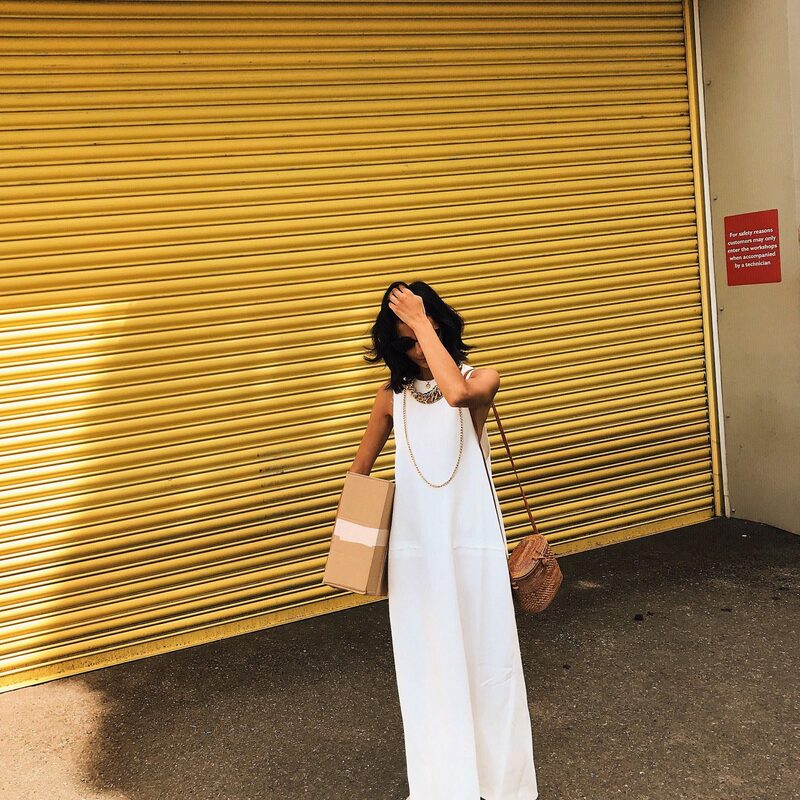 I recently purchased this minimal ASOS WHITE maxi dress from their sale. I picked it up for £25.00 from £100.00 and it’s probably the best white dress I own. Its structured and super minimal design leaves a luxury designer feel. It is super simple but the zip detail at the back ( which helps for this humid weather in letting enough breeze come through! ) is an investment piece for my wardrobe. As I had just got out the shower, I left my hair to dry and had no make up on (thank you god for the sunglasses) I wanted my jewellery to do the talking and take the attention away from my face. I’m wearing a the jewellery my Nonna has passed me down along with my Missoma coin pendant (here). I’ve pulled the look together with my go-to summer bag from WoodGrey and my St.Agni Yuka slides to create a bohemian feel. I was in and dated with lovely comments in my mailbox from you lovely guys but unfortunately I think the dress has sold out. 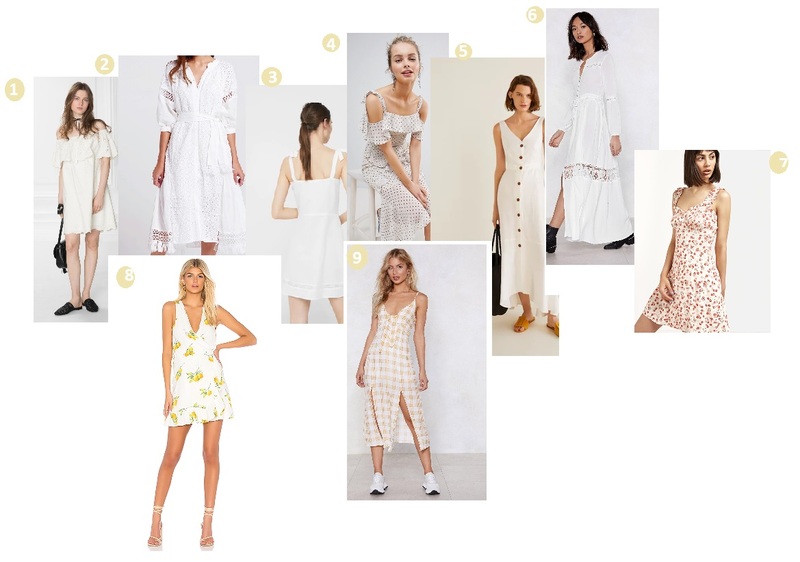 However the high-street from the likes of Warehouse, and Mango ( just to name a few) have tons of the prettiest white dresses for you to fill your wardrobe up. As you asked, I have looked through the internet to find some pretty white dresses on a friendly budget for you! What stunning photography. I love the white dress too. Great article!